Fitness Week 2: Let the Training Montage Continue! Observe my no longer upside down face! 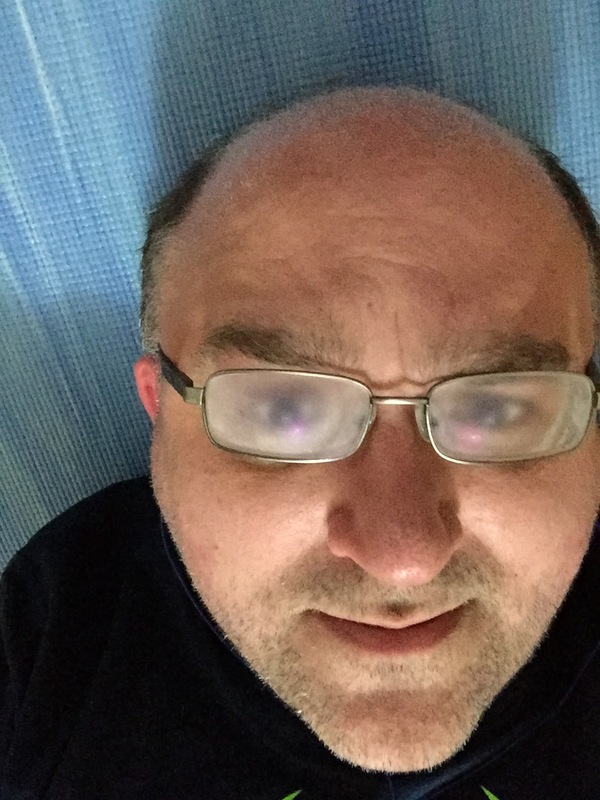 Yes, my glasses are misted. Yes I do look perturbed by that. –Superhero Workout three times. One of these was a stress reliever as I’ve been on deadline all week. As a result, seven minutes of punching asteroids was a better option than half an hour of DDP cheerfully shouting at me. Also one of these three sessions was doubled up. I REALLY wanted to punch that asteroid. And then I REALLY had to sit down for a while. –DDP Yoga Energy! workout once. This is pretty good and did more to get my heart rate up. –Zombies Run Couch to 5k once. In a t-shirt. In roughly zero degree weather. Not my smartest call. –Superhero Workout is surprisingly compelling. The central plot is good natured Thunderbirds esque space rescue/war fiction and that hits me right where I live. I almost did one three part mission at once too, but that 20 minutes was A)Needed elsehwere and B)Would have reduced me to jelly. –DDP Yoga’s Energy! is excellent for overall flexibility. I’ve got breathing and pacing issues with that and the running but I’ve been working on that this week and it’s getting easier to time breaths with exertion. – Zombies Run Couch to 5k saw a welcome improvement this week. The first couple of weeks out they give you a 10 minute free run to finish. You can walk, or run, as much as you want. I put an extra minute, in 30 second increments, of running in there this time. Didn’t feel knackered either. -My usual circuit takes me down some of the many, many pedestrian walkways that cover MK. This time I took a left turn up onto one that went along the roadside. I was out late too so rush hour had officially started and there were about 15 cars backed up. I almost turned around. The Body Image Goblin doesn’t come calling as much as it used to but it’s very loud when it does show up. I ignored it. I had better stuff to do.